If you’re looking for a new challenge to take up in 2017, look no further than open water swimming. With participation in the sport steadily rising, coupled with some amazing event locations around the UK, now is the perfect time to get involved. So get your wetsuit ready, because swimming season is not too far away and it’s time to get training! 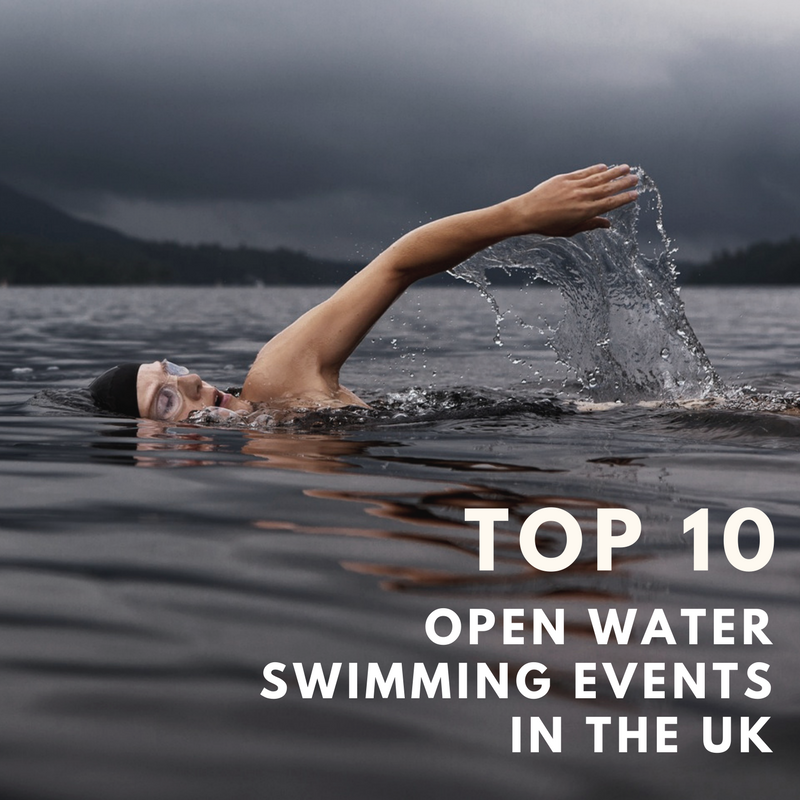 In today’s blog, we look at 10 open water swimming events that you simply have to try this year. Please bear in mind, these are in no particular order, they are all amazing events! If you haven’t heard of Brutal Events before, they are what they say on the tin, some of the toughest endurance events around. The Big Brutal Swim is no stranger to this either. The swim takes place in the picturesque, glacially formed Llyn Padarn, which is known for being the sixth deepest lake in Wales and have a 2.5k, 5k & 10k option to choose from. If you’re a Brutal Extreme Triathlon fan, you’re in luck. 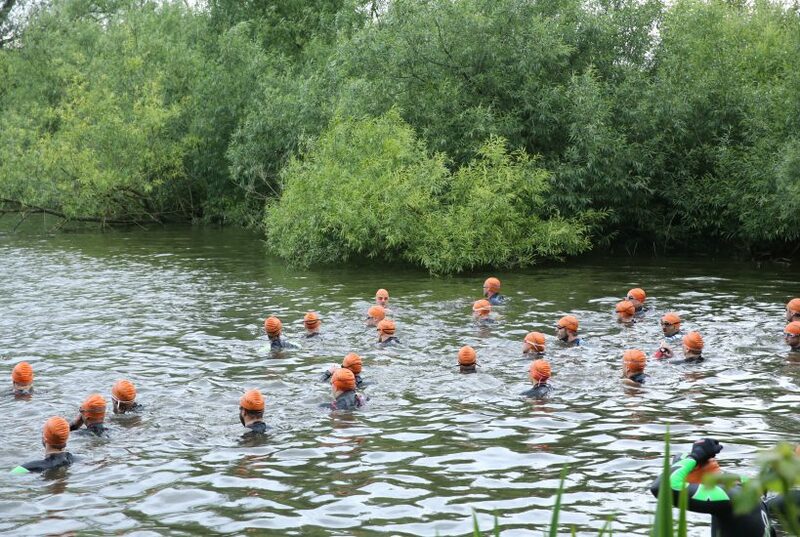 This is the same course as the Brutal Tri so it can serve as the perfect event for a warm up! If you’re ready to take on a big challenge, get your tickets on Brutal Event’s website. A brand new event for 2017 from the fine people that brought you the Snowman Triathlon, the Snowdonia Swim promises to be one of the most exciting open water swimming events of the year. The event takes place in the stunning Llyn Mymbyr, which is located in the Snowdonia National Park. Participants have the option of taking the half-mile route which covers half of the lake or the full mile where they take the full route around Llyn Mymbyr. If you want to book your place on the inaugural event, visit their website. The Great North Swim is organised by the guys from The Great Run Company who put on some of the best events in the UK, so you know it’s a premier event. With so many distances on the race card, there really is an opportunity for everyone to take part. Windermere is England’s largest lake at 10.5 miles long, stretching from Ambleside in the North to Newby Bridge in the South. 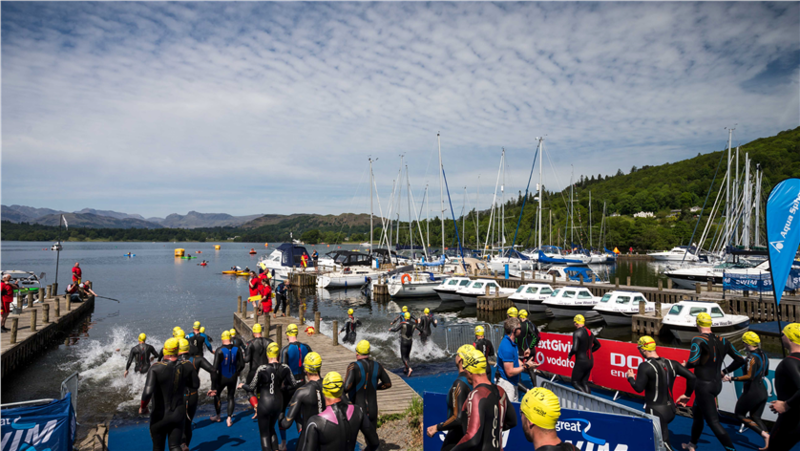 Treated to amazing views and scenery, bring the whole family along to watch all the action from the banks of the Windermere while enjoying food and drink from local vendors. If you are ready to take up the challenge or want to find out more information, visit The Great North Swim website. The Hercules Festival of Sport is a fantastic race series that truly offers something for everyone. In the Northwood festival, in particular, participants can take part in running, triathlon, cycling, duathlon, aquathlon, and of course open water swimming events. Set in the stunning grounds of Merchant Taylors’ School, the grounds provide a spectacular backdrop to what promises to be a fantastic day out for the whole family. If you’re training to do your first triathlon, a 3km or 5km open water swim is the perfect warm up for your big race. Find out more about this amazing event and book your tickets on their site. 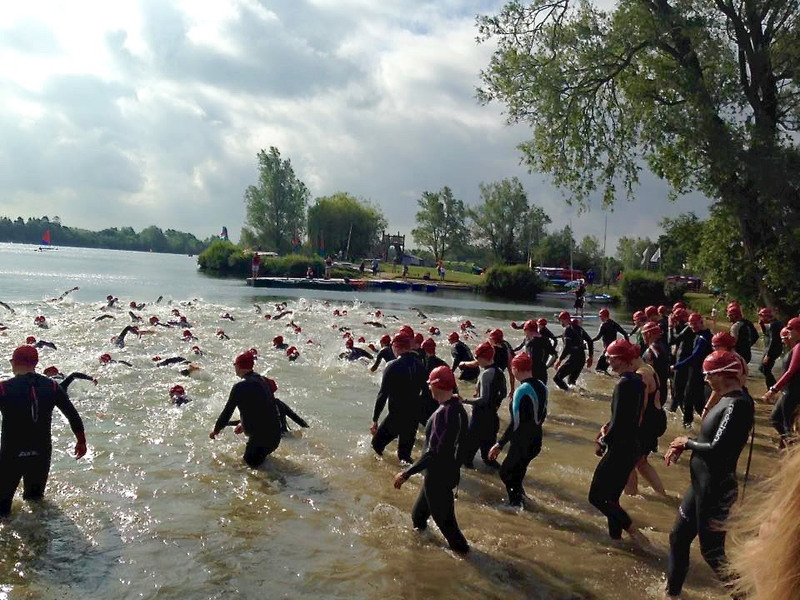 Brought to you by Tri Ferris Promotions, who put on great events such as the Cotswold Triathlon, the Big Cotswold Swim is a must for any open water swimmer. 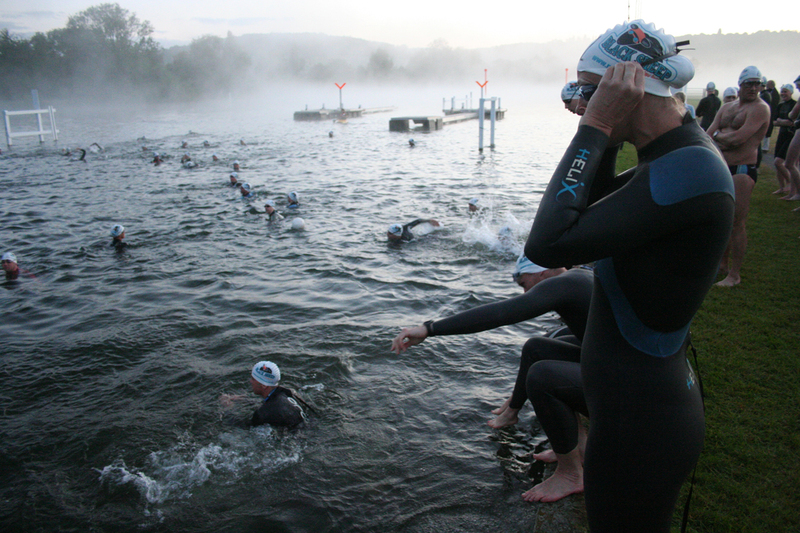 One or two-mile open water swims in a clear, gravel bottom lake over a multi-lap course, clearly marked, with a full safety crew. This fresh water lake, set in a beautifully landscaped area, is used for swimming on a regular basis. If you want to take part in in a race in one of the most beautiful areas of the country, visit their website to book your place. The Henley Race series first started in 2004 as a single event called ‘The Henley Classic’. As of today, they have included three more races into the series that include the Thames Marathon, the Henley Mile and the Club to Pub. Taking place on the Henley Regatta course, racers are treating to the beautiful, morning misty views. The race will even finish before the rowing community arrives to do their thing! If you’re based up North or in Scotland, we have found a fantastic event for you! Organised by Vigour Events, the Bardowie Loch Swim is hosted in the most picturesque settings, not too far outside of Glasgow. Set amidst the picturesque scenery of Bardowie Castle at Bardowie Sailing Club, Bardowie, Milngavie, the Loch is an ideal setting for your first event of the year. The Loch is very sheltered, providing excellent swimming conditions. For the first time in 2017, they are introducing a circumference swim where participants are able to do one or two full loops of the loch. If you want to take part, you can get your tickets on their website. If you’re looking for a race that isn’t like any of the rest, we’ve got the event for you. If you haven’t guessed already, the Friday Night Swim takes place at night! With a start under a moonlit sky at 9:40 pm, you’ll set off in the romantic dusk of a midsummer’s night to take on the challenge of either 750m Half Moon or 1500m Full Moon swim around the fabulous Tri2O lake. Swimmers will be treated to their own resident DJ whilst on the course that is illuminated by glow sticks leading the way. If you’re worried about safely swimming at night, don’t! There are plenty of kayakers on the water looking out for you! Get your tickets on the Friday Night Swim website. 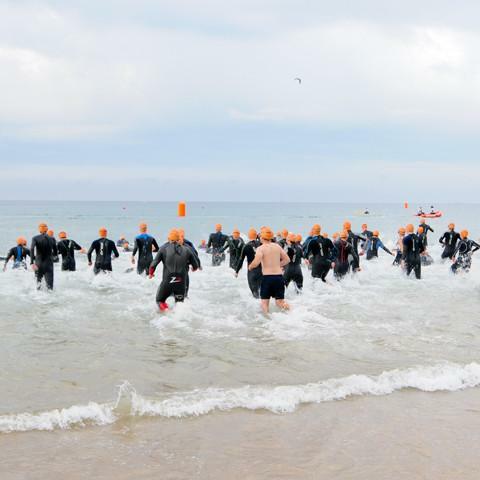 In its 4th year, the Salty Sea gods Long Swim will be held at Boscombe beach and is a real must for anyone looking for a slightly more challenging open water swim. Although Boscombe is well sheltered they may be a possibility of some surf conditions. Advice from the lifeguard team will be sought and if necessary the swim will be postponed so keep an eye on their website and your email after you have signed up. If you want to take part or find out more information, visit the organiser’s, Votwo’s website. If you’re too far South to attend the Great North Swim, we have you covered. Whether you’re looking to try an open water swim for the first time, or you’re searching for the ultimate challenge, the Great East Swim offers you a selection of distances to suit your ability. 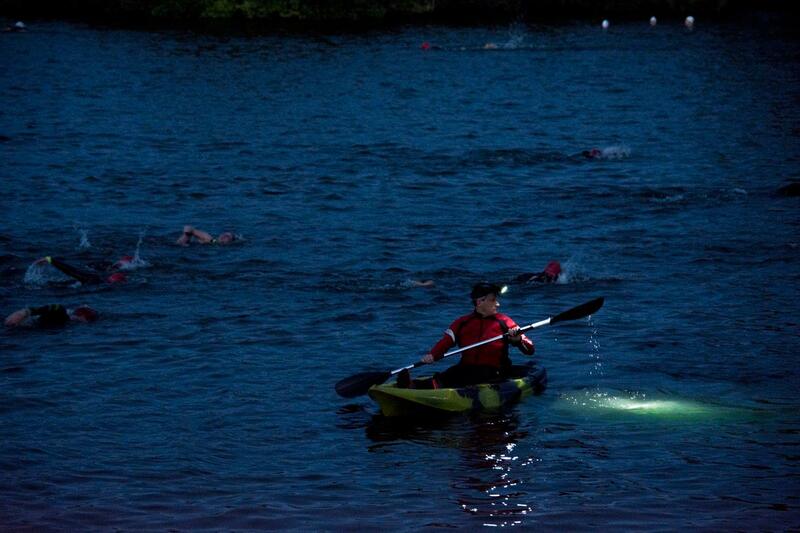 The event takes place on Saturday 17 June in Alton Water and is a great day out for swimmers, families and spectators. With farmers’ markets, plenty of musical entertainment and swim distances ranging from a half mile right up to a 10k, there really is something for everyone! Visit their website to get your tickets today.